398 years ago, in November 1620, 102 weary colonists made a pilgrimage to the New World. Their mission was to secure religious liberty for themselves and their children. They established England's second colony in North America, at a place called Plymouth. In November 1621 these "Pilgrims" celebrated their first harvest with local natives, a commemoration that conceived what we now call - Thanksgiving. Celebration of Thanksgiving was held on different days, usually in November, through the next several decades depending on the dictates of each state in the Union. In September, 1863, Sarah Josepha Hale wrote President Abraham Lincoln encouraging him to declare a standard date for a national Thanksgiving holiday. Fun fact, Hale was a magazine editor and author of the nursery rhyme, "Mary had a Little Lamb," who had been lobbying Presidents to declare a national Thanksgiving holiday since 1846. President Lincoln immediately responded to Hales request. On October 3rd, 1863, he issued a proclamation declaring a national day of thanksgiving, writing I do therefore invite my fellow citizens in every part of the United States, and also those who are at sea and those who are sojourning in foreign lands, to set apart and observe the last Thursday of November next, as a day of Thanksgiving and Praise to our beneficent Father who dwelleth in the Heavens. 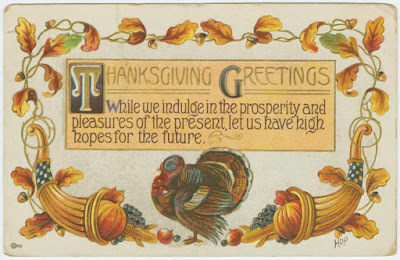 Because the last Thursday of November 1863 was the fourth Thursday, Thanksgiving has been celebrated on the fourth Thursday of November ever since except for two years. In 1939 President Franklin D. Roosevelt moved Thanksgiving to the third week of November because he hoped the extra week would help boost retail sales and improve the economy. 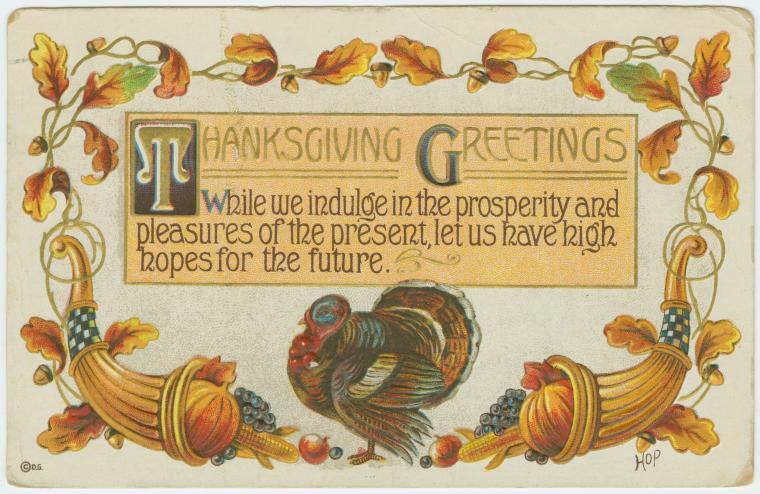 In 1941 Congress successfully returned the Thanksgiving holiday to the fourth Thursday in November. When we turn on the news, browse the internet, or interact on social media, its easy to forget how much we have to be thankful for. I agree with the legendary Roman writer, philosopher, and orator, Senator Marcus Tullius Cicero, who wrote, Gratitude is not only the greatest of virtues, but the parent of all the others. We have much for which to be thankful. We live in a country where freedom is celebrated, cherished, and protected. We live in a country where we get to choose our leaders, not at the point of a gun, but at our polling place. We live in a country where we have the right to speak our minds, to worship as we choose, to work and raise our families based on our beliefs. We live in a country where the things that unite us are greater than those that divide us. We live in a country where we have the opportunity to rise above the lowest common denominator and get things done. It was 51 weeks ago that I was sitting in my office. It was Black Friday. I wasnt shopping. I was looking at names on nominating petitions. By the end of the day, we had counted over 1,500 names on petitions nominating me as a candidate for Illinois State Senate in the 45th District. Ten days ago, the mission was accomplished. I am thankful for the faith you have shown in me by choosing me to be your next State Senator. I look forward to the challenges ahead, and I promise one thing - I will do my best. I believe our Founding Fathers, with all their faults, believed the country they were building would be one that could make the world a better place. I believe each generation of Americans has taken it upon themselves to fulfill the Founders dream. It was President John F. Kennedy who said, As we express our gratitude, we must never forget that the highest appreciation is not to utter words, but to live by them. Its up to us to be the miracle. And of course we will. After all, were Americans.